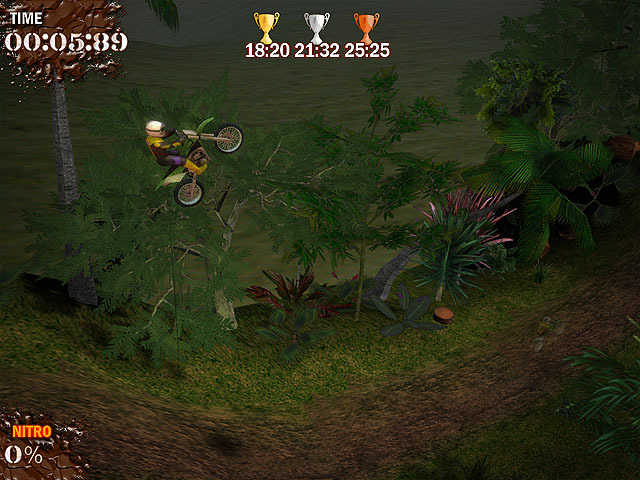 3D trial bike game. Finish all the trials in the jungle! Be fast and use the nitro boost to win the trophies. Win a bronze trophy in order to unlock the next level. Collect certain trophy sets to unlock new bikes. Do flips and backflips to earn additional nitro charge.